At least ten years of experience in transportation with an emphasis on transportation technology. At least a Master’s degree in transportation engineering, computer science, or related fields. Familiarity with software development and product development processes. Innovative leader, consensus builder, self-starter. Ability to seek out funding opportunities and assemble teams to write successful proposals. In order to be considered for this position, applicant must upload a cover letter and resume with application. This is a time-limited, grant-funded position. This requisition has been reposted. Previous applicant do not need to reapply. The McTrans Director, Transportation Software Applications will be responsible for maintaining and enhancing its existing software products and functions, as well as expanding its applications to include: developing new software products to support various applications related to research and development of advanced transportation technologies (including the I-STREET testbed in Gainesville). This position will also develop transportation-related educational software. The Director will oversee a staff of 15 members in addition to any new staff to be hired by the incoming Director. 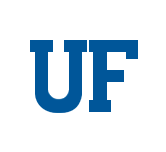 This position will closely liaise with the faculty and staff affiliated with UFTI. This position is located on East Campus on Waldo Road.